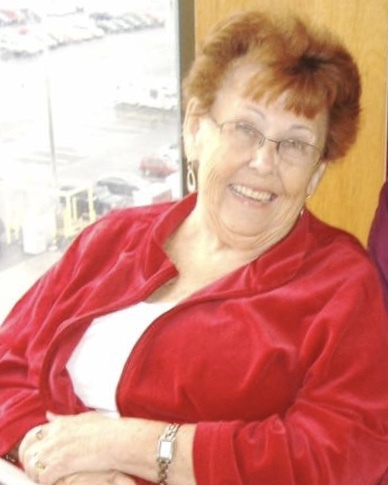 Patricia Vera Teague, 76, of Finksburg, died Wednesday, July 25, 2018 at Northwest Hospital. She went to join her beautiful daughter, Patty Sue, in heaven. Born January 9, 1942 in Baltimore, she was the daughter of the late George and Patricia Kenny Strauss. She was the wife of George W. Teague, Sr. They had been married for 62 years. Pat, for many years, was the manager of the AMF Bowling Lanes in Randallstown. She was an accomplished duckpin bowler. She also enjoyed reading, shopping, swimming, spending time with family and friends, especially the Dowdy’s and watching her shows on television. She was the last of her immediate family. In addition to her husband, she is survived by daughter Lola McDermott, son George W. Teague, Jr. and his wife Carol, grandchildren Danielle and husband Chris, Bradly and Bryan and wife Megan and great grandchildren Adam and Chance. She was preceded in death by brothers Raymond and Dean Strauss and daughter Patty Sue Palmer. At her request services and interment will be private. The Jeffrey N. Zumbrun Funeral Home, 6028 Sykesville Road, Eldersburg, MD is assisting the family with funeral arrangements. Online condolences may be made to www.jnzumbrunfuneralhome.com.